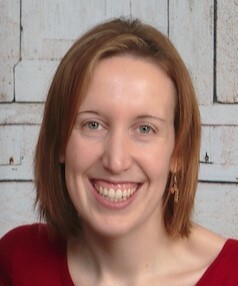 Devon A. Cancilla, Ph.D., is the Chief Knowledge Officer with the Online Learning Consortium. Prior to this, Devon was the Vice Provost for Academic Innovation at UMKC. Devon also served as Dean and then Associate Provost for Learning at American Sentinel University, a fully online institution. He was an Associate Professor of Environmental Science and Director of Scientific Technical Services (SciTech) at Western Washington University (WWU) where he led the development of the Integrated Laboratory Network (ILN), an online laboratory initiative funded by the National Science Foundation. Elizabeth (Liz) Ciabocchi currently serves as Vice Provost for Digital Learning and Executive Director of Online Learning & Services at St. John’s University. 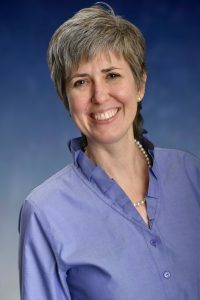 From 2002-2014, Ciabocchi served in the Office of Academic Affairs at Long Island University, most recently as Associate Vice President for Online Learning (2013-2014). She previously served as Academic Dean, Pacific College of Oriental Medicine, New York Campus, and as a faculty member and administrator at the New York College for Health Professions in Syosset, N.Y. Ciabocchi holds an Ed.D. in Higher & Postsecondary Education from Teachers College, Columbia University, a D.C. from New York Chiropractic College, and a B.S. in Biology from the University of Scranton. She also holds an Online Learning Consortium (OLC) Teaching Certificate (Administrative Track) and completed the OLC Institute for Engaged Leadership in Online Learning (IELOL) in 2010. She was elected a Fellow of the OLC in 2015 and served as an IELOL faculty member in 2017. In her current role at St. John’s, Ciabocchi leads the Office of the Provost’s academic initiatives in the development of digital learning strategies and programs of study offered in fully online and hybrid formats. In addition, she provides leadership in the use of technology associated with on-campus instruction, oversees the Office of Online Learning & Services, and serves as co-chair of the University Assessment Committee as well as other university-wide committees. 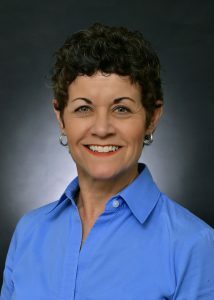 An active member of the higher education professional community, Ciabocchi also serves as a site team evaluator for the Middle States Commission on Higher Education (2013-present); a member of the Board of Directors of OLC (2016-2018), and institutional liaison to the American Council on Education (ACE) Women’s Network of New York. She currently resides with her family in Long Island, New York. Dr. Luke Dowden recently joined the Alamo Colleges District as its Chief Online Learning Officer and Associate Vice Chancellor of Academic Affairs. Through Alamo Colleges Online, he will lead and support capacity building initiatives at all five colleges so each may gain a greater market share of online learners in their respective service areas. Prior to joining Alamo Colleges Online, Dr. Dowden founded the Office of Distance Learning at the University of Louisiana at Lafayette in 2010 and served as its Director for 8 years. Under Dowden’s leadership, the Office of Distance Learning earned the 2013 Online Learning Consortium’s Award for Excellence in Faculty Development for Online Teaching. Dowden was honored in 2014 as the inaugural recipient of the Online Learning Consortium Bruce N. Chaloux Award for Early Career Excellence in Online Education. Dowden’s other significant leadership achievements include the creation of an electronic course design and certification process, facilitating the development and delivery of 13 new online degree programs, and creation of a suite of instructional technology tools for online course delivery. Prior to joining UL Lafayette, Dowden founded the Division of Accelerated Learning at Bossier Parish Community College. He led the efforts to create 6 online, accelerated degree programs with wrap-around student support services. During this time, the Louisiana Board of Regents tabbed him to found the Center for Adult Learning in Louisiana. As Executive Director of CALL from 2008-2013, he worked primarily with 6 community colleges and regional universities to create and launch over 18 accelerated online degree programs, introduce prior learning assessment policies and strategies, and coordinate marketing the programs statewide to the over 500,000 adults with some college and no degree. He is a past Steering Committee and Executive Council Chair for the WICHE Cooperative for Educational Technologies (WCET). Dowden earned a bachelor’s in History and a master’s degrees in Adult Education from Northwestern State University before earning his Doctorate of Education in higher education administration in 2009 (Nova Southeastern University). He is a 2010 Graduate of the Penn State and Online Learning Consortium Institute for Emerging Leaders in Online Learning (IELOL). 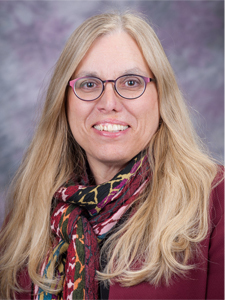 Karen L. Pedersen, Ph.D., is currently the Dean for Global Campus at Kansas State University. She has a long history of serving in various digital learning leadership positions at both public and private higher education institutions. Prior to joining KSU, Karen worked as the Chief Knowledge Officer for the Online Learning Consortium (OLC) where she served as a thought leader and fostered initiatives related to learning innovation, quality enhancement, leadership development, and institutional transformation. She has expertise leading award-winning online and off-campus units, expanding partnerships, engaging cross-institutional academic operations, and pursuing integrated marketing solutions to realize significant enrollment growth and retention outcomes. Other experiences include serving on the launch team for a competency-based education initiative, leading a system-wide enrollment management transformation, and building academic collaborations in Singapore, Hong Kong, Indonesia, Malaysia, and Brazil. Prior to starting her administrative career, Pedersen served as a faculty member at the University of Nebraska at Kearney. She holds Bachelor of Science and Master of Science degrees from the University of Nebraska-Lincoln and a Doctor of Philosophy degree from Oklahoma State University. 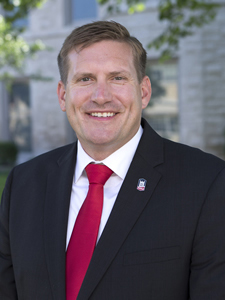 Jason Rhode, Ph.D. is currently Executive Director of Extended Learning at Northern Illinois University. 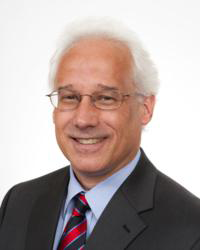 In his role at NIU, Dr. Rhode serves as chief online learning officer, overseeing the Faculty Development and Instructional Design Center as well as providing strategic leadership and long-range vision for development and delivery of online and off-campus education. 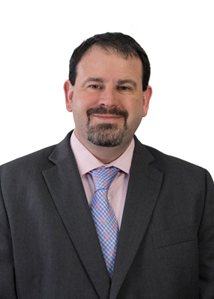 He also holds a joint faculty appointment in the Department of Educational Technology, Research and Assessment at NIU where he develops and teaches courses and conducts research in instructional design and educational technology administration. With two decades of experience in online education and faculty development, Dr. Rhode’s expertise focuses on the intersection of faculty development, institutional instructional technology integration and support, distance learning administration, and online teaching best practices. Dr. Rhode is an award-winning online instructor who has served in varied operational roles prior to his current administrative appointment, including instructional designer, course developer, faculty trainer, and program director. He has published and presented widely nationally and internationally and has received numerous accolades for his contributions to the field. Dr. Rhode holds a Ph.D. in Instructional Design for Online Learning from Capella University, M.Ed. in Curriculum and Instruction from Seattle Pacific University, and B.A. in Children’s Ministries from North Central University. 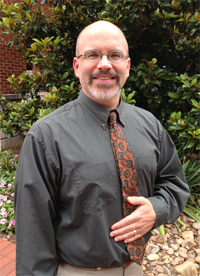 Garvey Pyke is the Director of the Center for Teaching and Learning at UNC Charlotte. He leads the Center in providing and supporting the enterprise-level academic technologies and faculty professional development programs regarding high quality instruction, scholarly teaching, and online and distance learning. He has served as the Chair of the University of North Carolina Faculty Developers Consortium, a statewide group for all seventeen member campuses of the UNC system, to build strategic partnerships among multiple campuses. In addition, he has served on the steering committee for OLC Innovate and as track chair for OLC Accelerate and has presented multiple times at these and other conferences. As an educator for more than 20 years, Dr. Pyke enjoys collaborating with faculty members and staff to design and develop programs which impact faculty satisfaction and lead to student success. 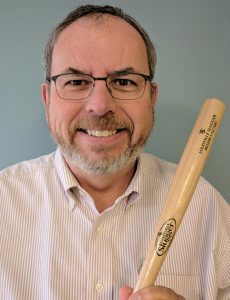 His work involves the practical application of research methods and instructional systems design methods to various instructional projects at the UNC Charlotte, and he is an affiliate member of the Graduate School and has taught at the university and K12 levels. 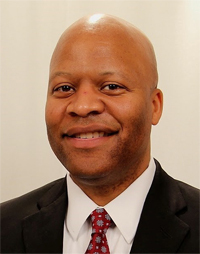 He holds a doctorate in education in Instructional Systems Technology from Indiana University, a master’s degree in Educational Leadership from Pepperdine University, and a bachelor’s degree in English from Tulane University. He also a completed the OLC Institute for Emerging Leadership in Online Learning (IELOL) in 2010 and the EDUCAUSE Learning Technology Leadership Institute in 2013. The Tennessee Board of Regents recently appointed Dr. Michael Torrence as the next president of Motlow State Community College. The college has campuses in Smyrna, Tullahoma, McMinnville and Fayetteville, Tennessee. President Torrence will assume office at Motlow on May 1, 2018. Torrence is currently assistant vice president of academic affairs at Volunteer State Community College. *While reasonable efforts will be made to adhere to the advertised package, OLC reserves the right to substitute speakers and/or seminar content.